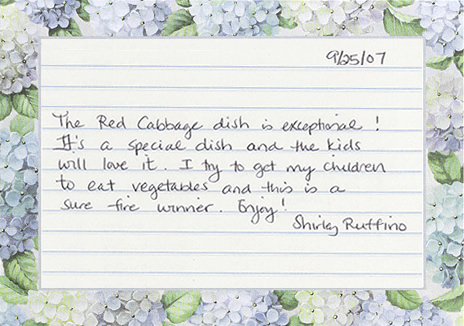 The Red Cabbage dish is exceptional! It’s a special dish and the kids will love it. I try to get my children to eat vegetables and this is a sure fire winner. Enjoy!